We at Graham’s Organics believe in the importance of healthy food, and make sure that all of our products are healthy and organic. Whether it’s organic chicken feed to keep your chicken eggs tasty or sirloin steak from one of our Black Angus cattle, we put in the time required to make each product the best. After all, these products do have our name on them. Everything we make, they’re products we’re proud to put our names on. Grahams Organics pastured Black Angus Beef represents over 40 years of selective breeding. 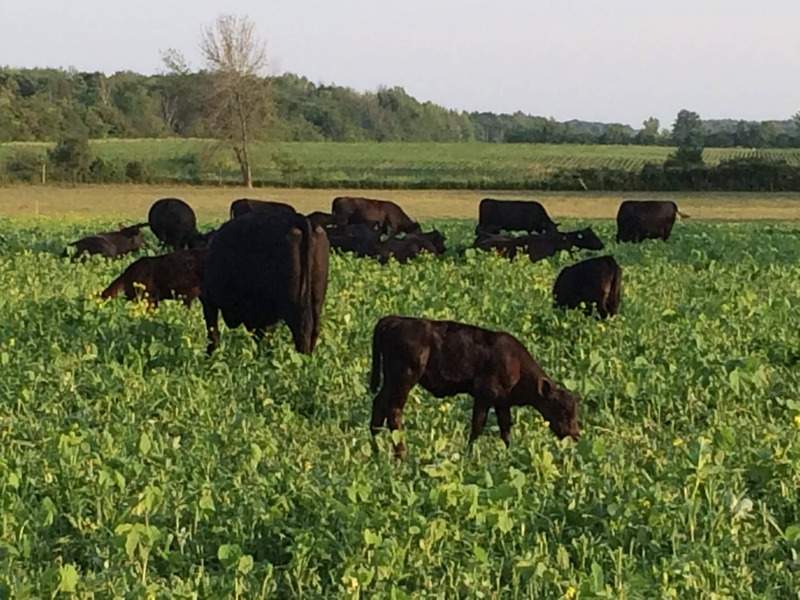 Our purebred line of Angus Beef is ideal for the rotational organic pasture and 100% grass feed program developed on the farm. 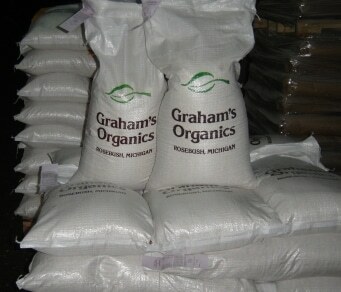 Ours feeds are made on an as needed basis. That way you will receive the freshest feed available for you animals. Fertrell minerals are used in all of our blended feeds. 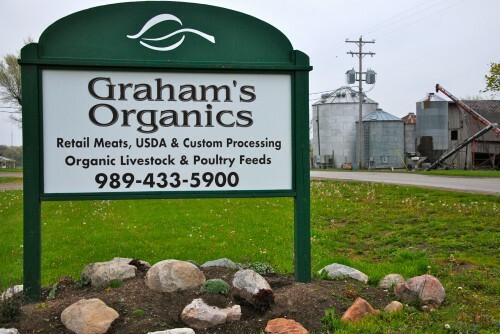 Grahams Organics pastured Black Angus Beef represents over 40 years of selective breeding. Our purebred line of Angus Beef is ideal for the rotational organic pasture and 100% grass feed program developed on the farm. The foundation herd has demonstrated over the years all of the finest points attributed to the Angus breed. With exceptional marbling of the meat cuts to the extra lean carcass condition at processing, Graham’s Organics’ Black Angus beef has consistently proven to be the consumers choice. All processing is completed in federally inspected USDA facilities. Our beef is dry aged, processed, vacuum packaged and flash frozen to ensure a fresh and tasteful product for the dining experience.